Tommy is an amazing addition to our family! He is such a happy and snuggly guy that has given us (and our kitten) so much love already. 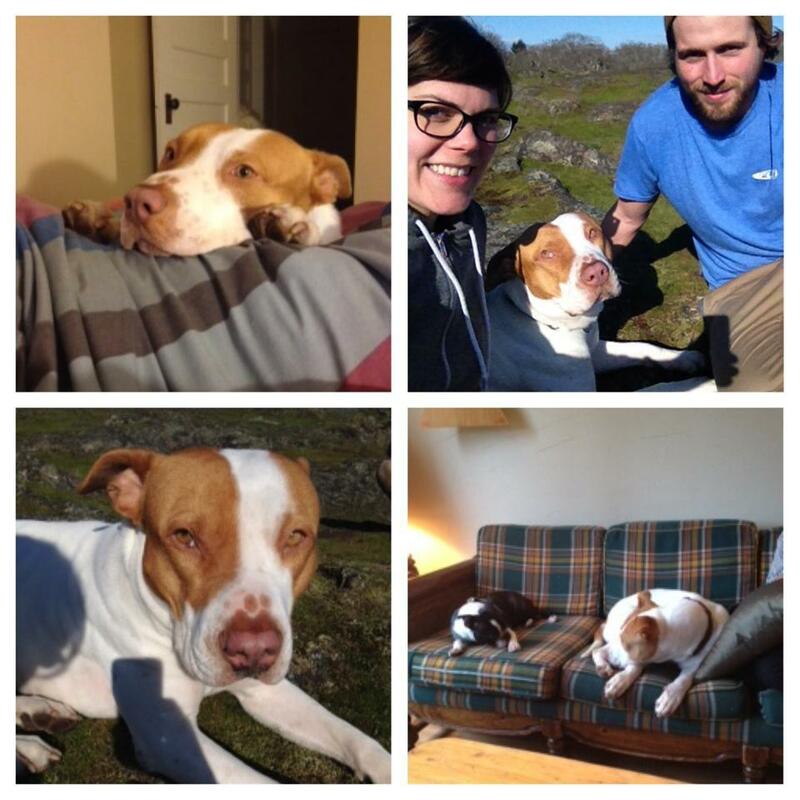 Raincoast Rescue was the first rescue we successfully got ahold of and we are so glad for that! They are helpful people with kind hearts that were genuinely excited to help us find our forever pet. They were tentative but patient. We are so happy with Tommy and if you are seriously looking for a new addition we highly recommend Raincoast Dog Rescue Society! We are so in love with our Sailor girl she has been the perfect addition to our tribe. She is excellent on leash and the best nap buddy. Everyone we meet comments on how beautiful and well behaved she is. Thank you so much for all you guys do. You are truly amazing and if we ever decide to add another dog to the family we will be sure to go through your wonderful RainCoast Dog Rescue organization. We will highly recommend you guys to anyone who wants a dog. We at RainCoast are so stoked for Sailor. This family is amazing and has the coolest place in Tofino, and they have 6 kids! Yuki, (Japanese for snow, and formerly known as Bee) has been with our family since December 13th. We have 3 children and I have felt the desire to have them grow up with a dog always, because I was lucky enough to. 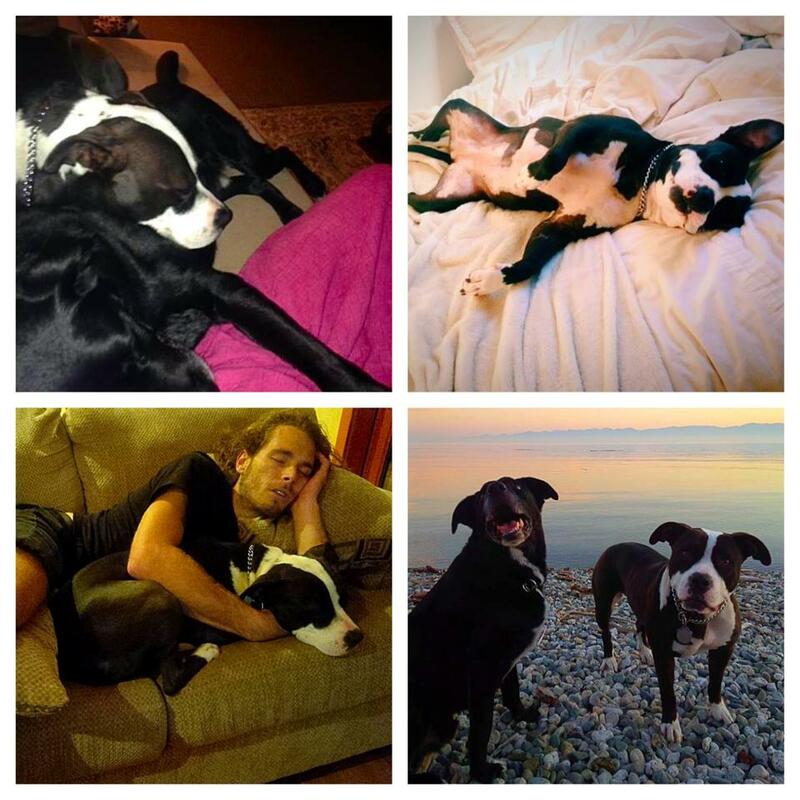 We were looking for some time when I stumbled upon RainCoast… we saw a picture of her and contacted Jesse. The process from the beginning is one of support and comfort, and we have found our newest member of our family. Thanks to RainCoast for the greatest holiday gift my kids have ever recieved and for adding even more love into our home. Linus, Linus, Linus. Where to start. This guy has so much love to give, he really has a heart of gold. He’s such a goof and loves all the attention he can get. Linus has the ability to make passer byers on the street smile. Although I am the one adopting, he really has so much to give and teach me as well. I love him so much already and can’t wait for all of our adventures together. 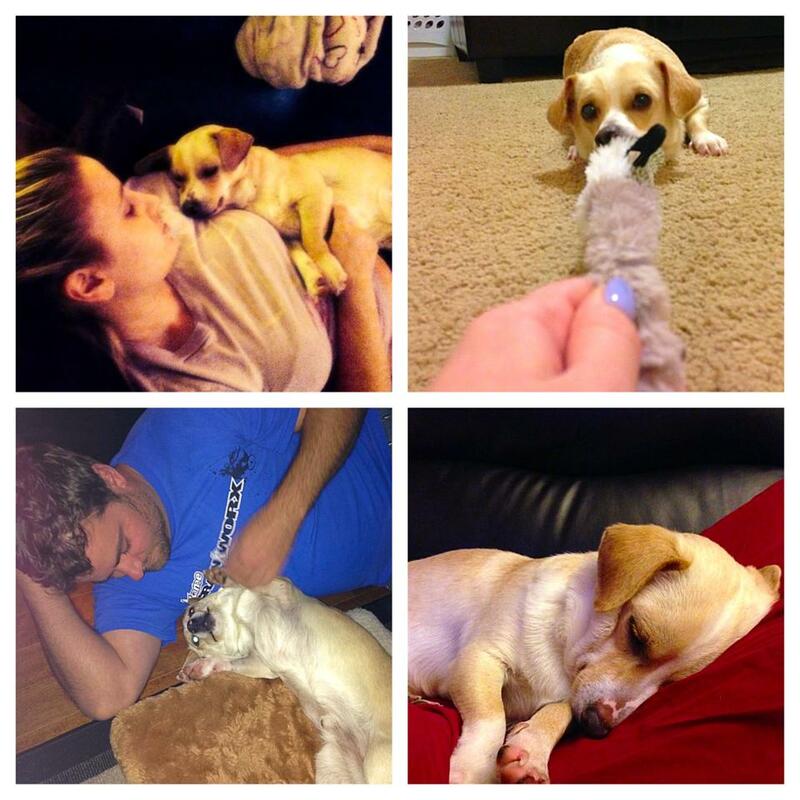 Here’s our happy tail: Stewie (formally Connor) loves to cuddle with everyone! It’s been amazing to see him open up and run around. It’s so nice to come home to his smiling face and how happy he is to see us. He loves to sleep with us and hates getting out of bed in the morning like we do. Thanks to Jesse for all of his help! His new best friend is Pali, a 5 year old mastiff and they run around and play like they have known each other for years. We couldn’t be happier with our new addition to our family! 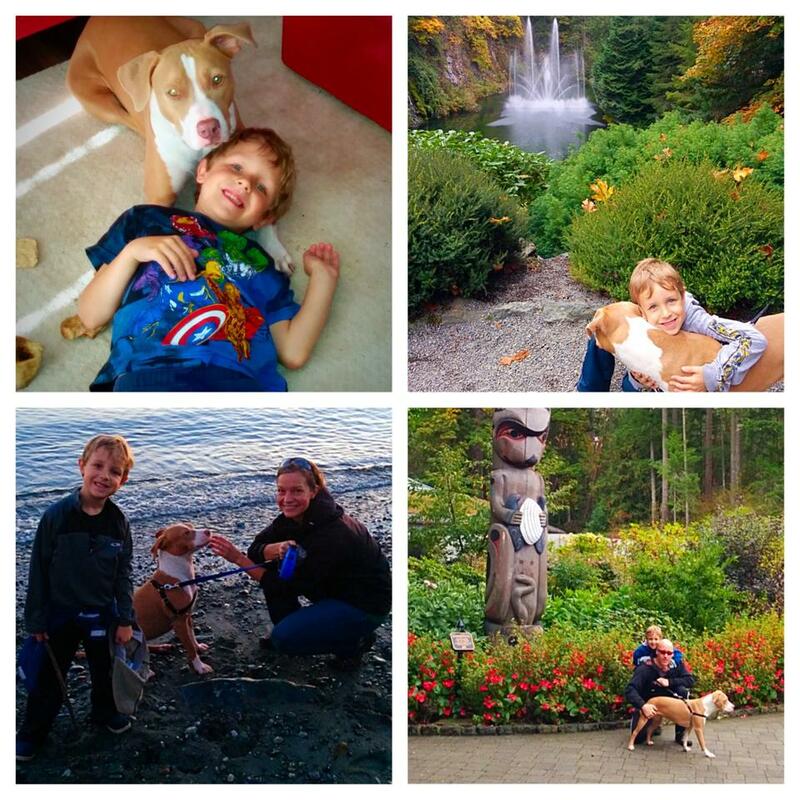 Thank you Raincoast Dog Rescue for making this adoption process so easy to deal with and for always being there for us and Stewie,and to Kim for the reference! Dyna is an amazing girl! She was timid to start but once she realized she was safe, she warmed up instantly.She is such a snuggle bug and will squeeze herself into any space to be with us.She is very easy going and calm but loves to play! She gets along great with all dogs and is a very quick learner 😀 She loves coming to doggy daycare, has a blast making new friends! Best Christmas present I could ask for! 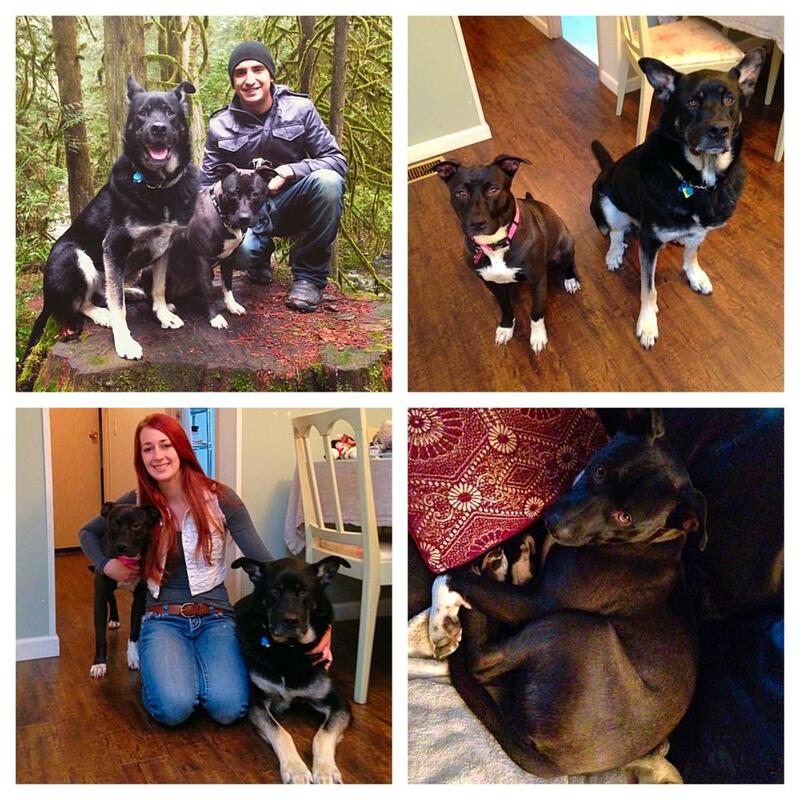 Thank you so much Raincoast Dog Rescue! You guys have been there whenever we had any questions. We will always be recommending you guys! 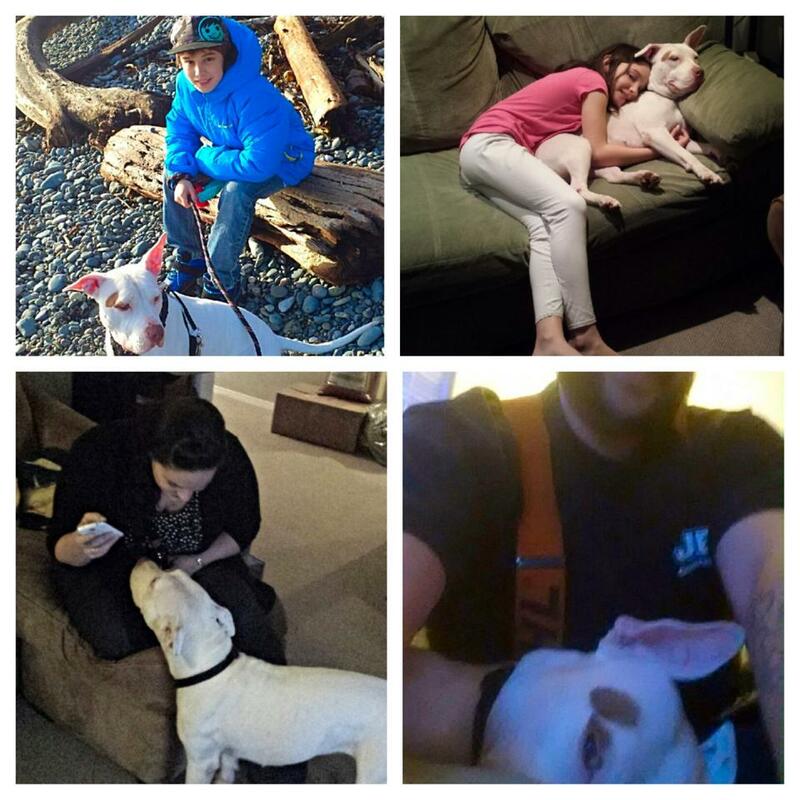 Thank you so much for finding our sweet girl, Lana (formerly Shayna). She’s been with us for two weeks now and we can’t imagine life without her! Seeing her come out of her shell has the last two weeks been amazing – from beyond timid to the fun and cheeky pup she is today. We really appreciate how you two took our needs into account and introduced us to a dog with the size, temperament and personality we were looking for. We’ve been recommending you guys to all of our friends! I don’t know how I got here, but I’m not leaving! These people are great! The boy is 6 in human years and he’s my favourite. He seems to get me best – he jumps around and falls over laughing, he’s also a messy eater so I help out where I can. The man is strong, he’s my favourite. He plays fetch in the yard and we run up hills… he keeps up most of the time. He also wrestles with me like a littermate, pretty sure he thinks he’s one of us. The lady is a great singer, she’s my favourite. She knows what I need without any hints. They take me to the dog park & the beach where I learn about the big water. I’m getting very good at frisbee and making new dog friends. 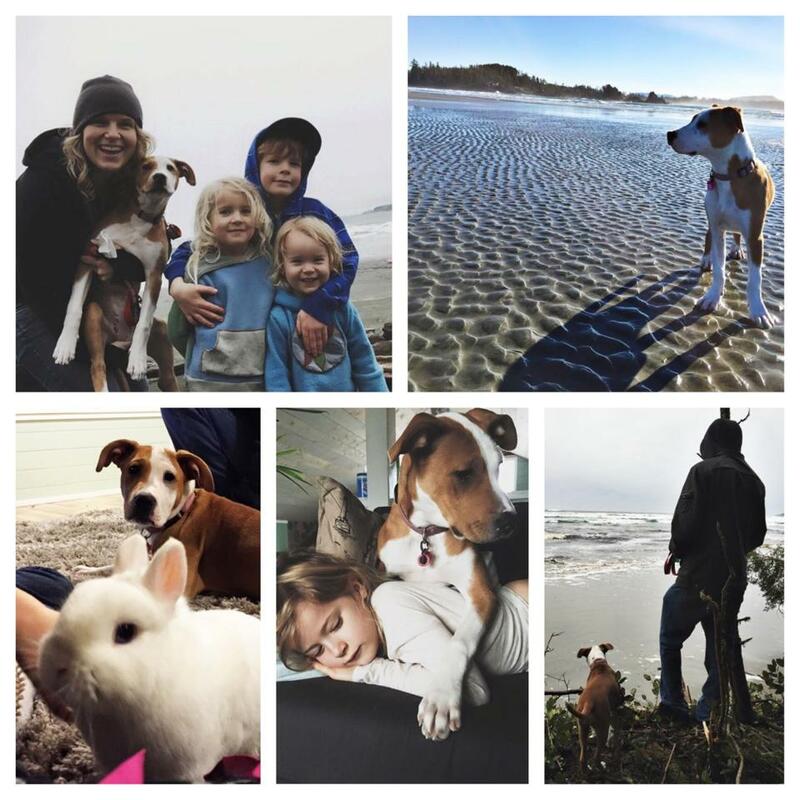 Thank you so much RainCoast Dog Rescue for all your amazing dedication and love for these animals. It was a pleasure working with your organization. 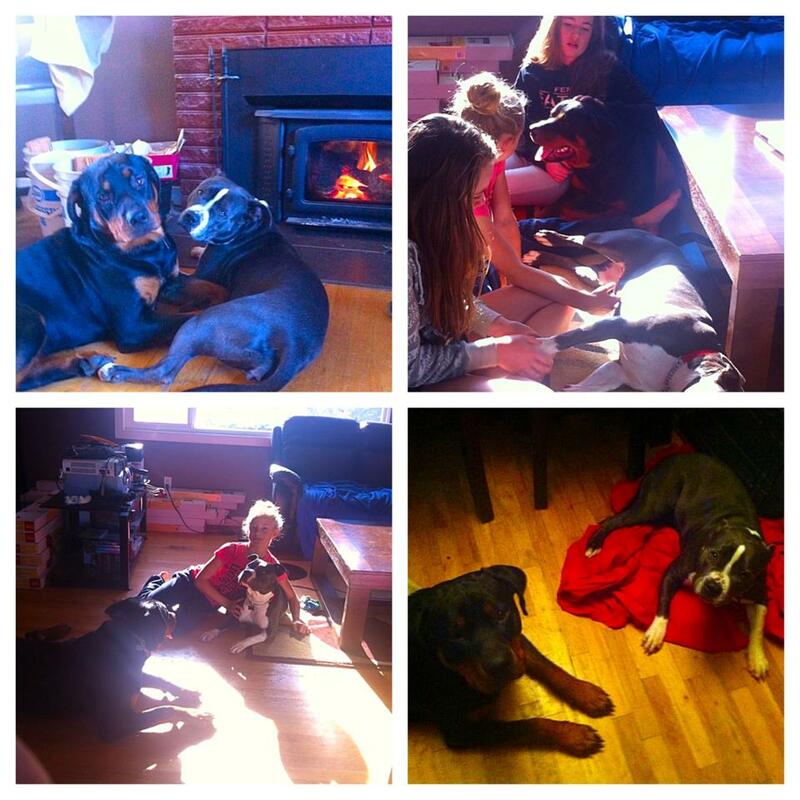 Thank you RainCoast Dog Rescue for all of your knowledge and help finding the new addition to our family. Your process of adoption and your love for these animals is amazing. 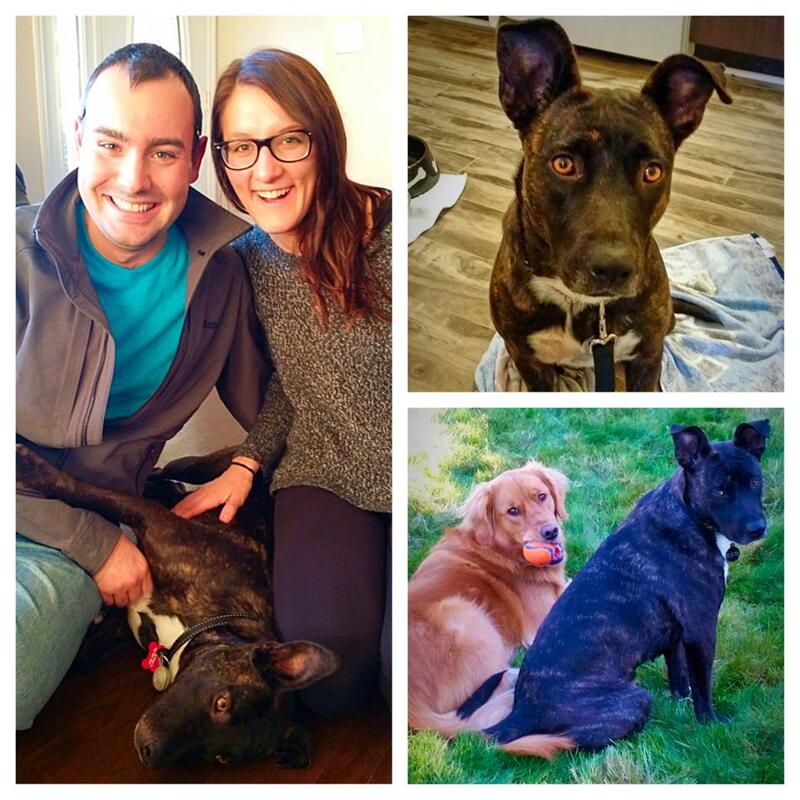 It has been difficult to find a dog that will fit in with our current fur family and kids but with the help of Jesse and Brielle we were able to find a great fit. it’s like she has always been a part of the family. I would highly recommend you to anyone who will lend an ear. When we first brought Courtney Love home she was terrified of everything! She walked real low, shook all the time, peed inside and was petrified of us if we were holding anything, brooms, books, canned food, hoses, anything. With some tender love and care, our Staffy girl began to recover. She cuddled as hard as she played. And we were amazed to see how hard this 55 lb, foot tall baby could play. Meanwhile we had been saving to bring Jon’s dog Coby over from Australia. At age 6, and also a rescue, introducing Courtney and Coby was the cherry on top to our experience rehabilitating Courtney. He taught her to trust us, to play tug o war, and to be loyal and protect us. They really love each other. 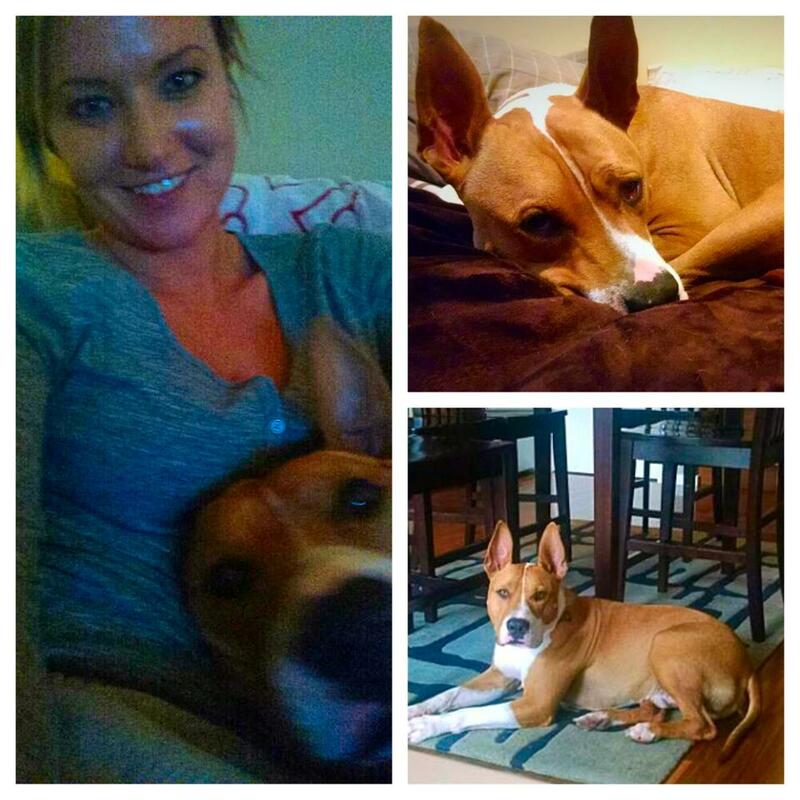 Courtney is well trained, obedient, smart, playful, with a sense of humour. It’s heart breaking to think someone ever thought otherwise. Please adopt dogs. Please support Rain Coast Dog Rescue. We can’t remember what our lives were like without her.